This article is aimed to investigating the influence of a web quest strategy on achievement, and whether collaborative learning can maximize the effectiveness of a web quest used as a medium in teaching and learning educational psychology among the female students at Al Majmaa University in Saudi Arabia. 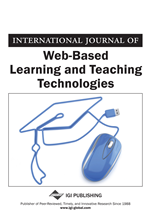 Quantitative and qualitative approaches were used in this strategy to investigate the effectiveness of using web quest as a medium of teaching and collaborative learning in Educational Psychology. The questionnaire used was an adaption from the study of Dodge. Each item in the questionnaire was based on a Likert scale which is scores of 1,2,3,4 and 5. While, for the quantitative study, a total of 33 students participated in the interview in order to identify the perception towards collaborative learning and web quest use. Study individuals consisted of 65 female students enrolled in the faculty of education at Al Majmaa University in Saudi Arabia, in the academic year 2014-2015. These women were distributed into two groups; the first group was the experimental group consisting of 33 students who studied using a web quest strategy and the other group was the control, consisting of 32 students who were taught using the conventional method. The results indicate that collaborative learning did not show positive influence, web quest used alone still shows improvement on students' learning outcomes. The new vision of developing education focuses on knowledge economy in Saudi Arabia by employing technology in education and preparing a generation of learners able to deal with technology and use it effectively. Undoubtedly, raising the level of outputs is the basic goal of the development process that requires students who know about the modern technology to help them construct the knowledge and employ it in their life. Educators confirm that helping the students at different studying stages to learn the concepts in an effective way is a fundamental objective of the basic education, and learning the concepts facilitates learning the educational content, increasing its fixation in the memory, improving the students’ abilities in achievement and education, and employing the educational experiences (Qatawi, 2007). Web Quest Strategy is considered one of the most important strategies that links between the educational planning of the educational process in an accurate form and between using the Internet. It is considered a constructive educational pattern that based on the learner model as a traveler and explorer, and it assured the interaction between the learners and the teacher during the educational process. Additionally, it reflects the idea of the modern teaching that relies on the latest technology as a source of knowledge (Lacina, 2007; Wang & Hannafin, 2008). Sen & Neufled (2006) see that this strategy is a cognitive journey in the Web to reach the correct information with less effort and time to develop thinking, this strategy makes the learning process an interesting process to the students that increases their motivation and participation in the classes. March (2003) stated that learning always occurs in social situations and that learning is both a social and a personal phenomenon. The sharing of multiple perspectives tends to increase the knowledge learned and the satisfaction derived from the process. There is evidence from traditional classroom environments, non–traditional face to face environments, and from on–line environments to indicate that collaboration can enhance learning. What do we mean by collaborative learning and in what ways can it positively affect learning?